We've all experienced Tex Mex or "American" Mexican cuisine, but we're missing out on the real deal. If you're looking for the best Latin American cuisine, you want to seek out authentic Latin restaurants that do it right. Given that one out of every 10 restaurants in the United States has some kind of Mexican dish on their menu, making it the most popular type of international cuisine here, it can sometimes be hard to tell what's authentic or not. However, people are looking more and more for a "real" experience and the best Latin American cuisine can be found in areas where the Latin American community has settled and brought their cuisine, culture, and traditions with them. We'll discuss what to look for in an authentic Latin American restaurant and what distinguishes it from Tex Mex. The specialty food industry grew over 10% between 2015 and 2017, with around 65% of consumers in the United States buying specialty food in 2017. Furthermore, millennials eat out an average of three times a week, says a survey from Bankrate. Overall, almost 35% of Americans visit a casual dining establishment at least once a week. These two things together provide a great opportunity for Latin American restaurants to take advantage of. American tastes have long incorporated elements of Mexican and Latin American cuisine, so making the jump from Tex Mex and other Americanized forms of this style to the "real deal" isn't a huge jump, but it is an eye-opening and delicious one. For example, ceviche is popping up on more menus across the country now; a dish that might've made some people squeamish is now taking off, thanks to a growing interest in diverse types of dining. What's the Difference Between Latin American Cuisine and Tex Mex? Essentially, Tex Mex is an Americanized version of Mexican food. As Americans entered Texas, they encountered Mexican food and started trying to make their own versions. They used what they had on hand -- most notably beef and wheat flour -- to recreate the dishes. 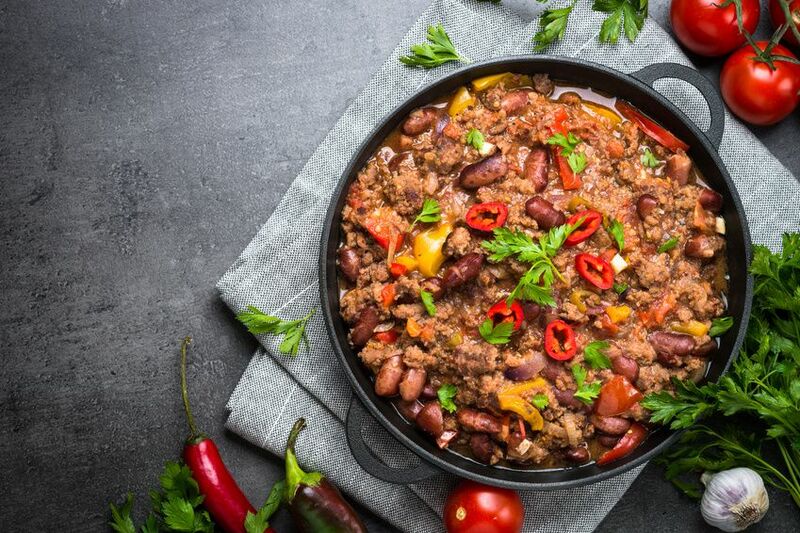 Rarely will you find beef, cheddar, wheat flour, black beans, canned tomatoes, or cumin in authentic Mexican cuisine -- these are twists the settlers north of the border added themselves. Pork, maize-based products, rice, seafood, and salsas are staples in Latin American cuisine, though each country has added their own influences over time. This style of cuisine also draws from a mix of Native, African, European, and Asian influences, given how many diverse people have immigrated, settled, or passed through the area. Fresh beans, tortillas, and white cheese are commonly found in authentic Latin American cuisine, and cumin is eschewed for spices like oregano, parsley, and coriander. It's also likely that in some of the best Latin American cuisine, you'll likely find quite a few dishes that you're not familiar with, that are native to the area or region the restaurant is based from. Don't be shy -- explore the menu and you might find yourself with a new favorite dish! How Do I Find the Best Latin American Cuisine? If you're looking for the best Latin American cuisine, check out top Latin restaurants in your area. They'll offer gourmet food and an unforgettable experience. A higher end restaurant will give you the best introduction to Latin American cuisine and one that you'll want to return to again and again. You should also look for areas where Latin American communities have sprung up -- you're most likely to find the most authentic cuisine in those areas. Don't be afraid to experiment and try new dishes. Venture outside of your comfort zone! Ask your server what he or she recommends as well, if you're nervous about choosing something on your own. Broaden your horizons when it comes to trying new cuisines! Though you might turn to Tex-Mex as comfort food, authentic Latin American cuisine will open you up to a whole new world of delicious possibilities.